First, in a well-ventilated area, spray paint your pumpkin. I did two coats, letting my pumpkin dry completely between coats. 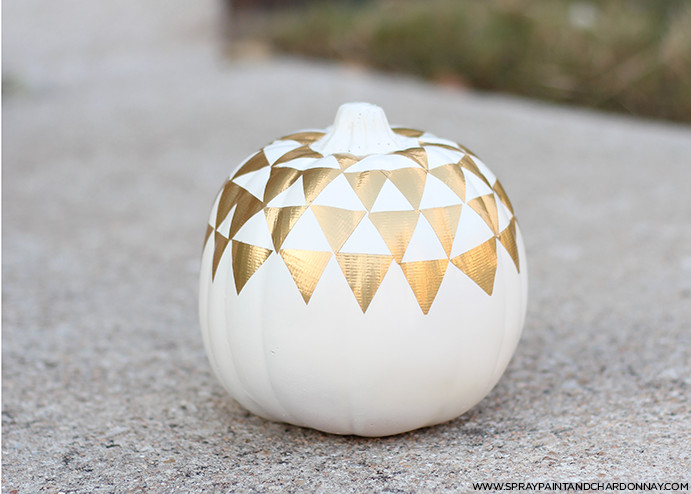 Once your pumpkin is dry, start placing your ‘stickers.’ I originally started with a more tribal design, but after playing around with layout, I ended up with this more geometric look. Luckily, the duct tape easily peels up [without removing paint! ], so you can move your stickers around until you get a design you like. 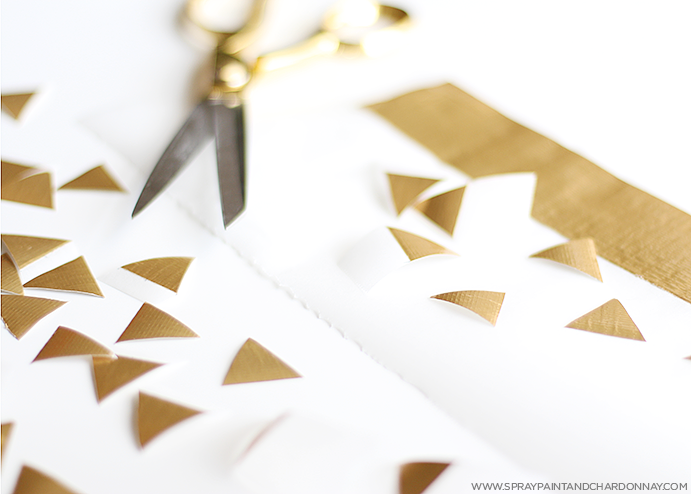 Who knew that spray paint and duct tape could produce something so chic?!? 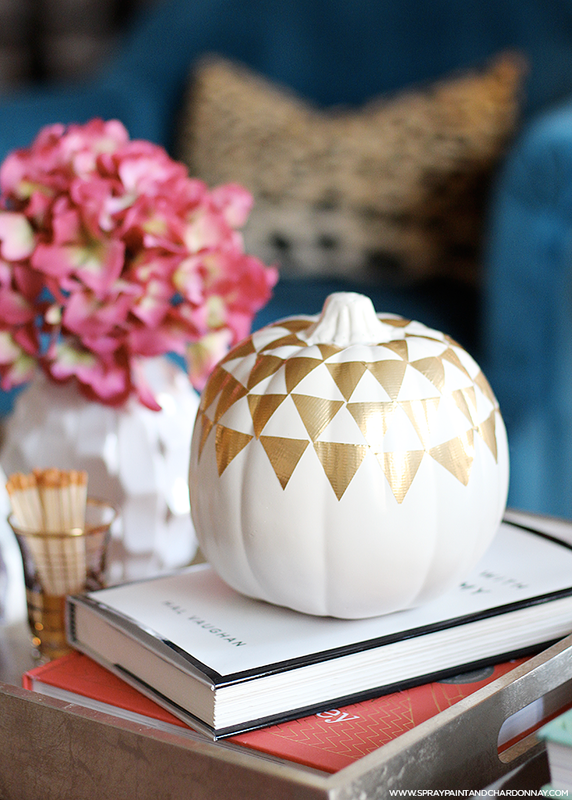 For more chic Halloween and fall decor ideas, make sure you’re following along on Pinterest!